Book Club: Won’t You Join Us? A suggestion came up last year to launch a book club, so we did! We pick a book, some by a majority vote and some by an individual suggestion; pick a date to get together out of the office, over drink and sometimes food, and talk it up. The rules are simple, come if you want to whether you have read the book or not. For me, I do not go unless I have read the book! 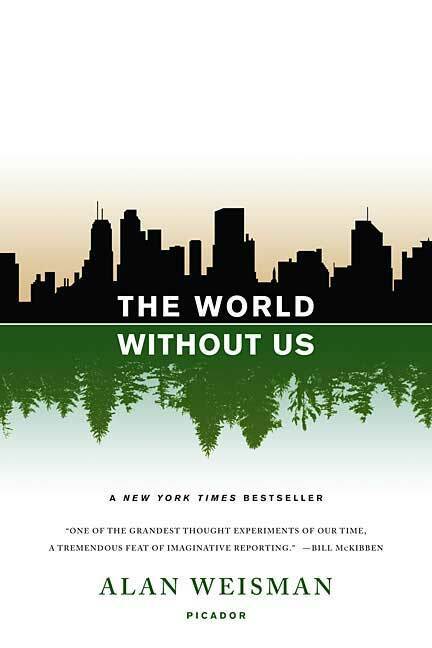 We just finished The World Without Us by Alan Weisman. Have you read it? What did you think? I’ll admit, I did not read the book in time, and instead recently picked it up on CD and listened to it, although a little late for the book get-together. I am glad I gave it a listen. Weisman challenges us to ponder the thought of this planet with us, all humans gone, just like that, gone. As in here one day, vanished the next. The thought is pretty radical and the book is to. It covers all aspects of our tangible existence from architecture, cities, farms, birds, toxic waste sites and even the Panama Canal without us around, never to return again. It is a little sci-fi, a little morbid, and a little encouraging. I was impressed with the extensive research Weisman conducted and the experts he consulted in his world journey to write the book. Next up on our list is Ishmael by Daniel Quinn. And then Silent Spring by Rachel Carson, I can’t wait to read this one!